La traducción estará disponible pronto. 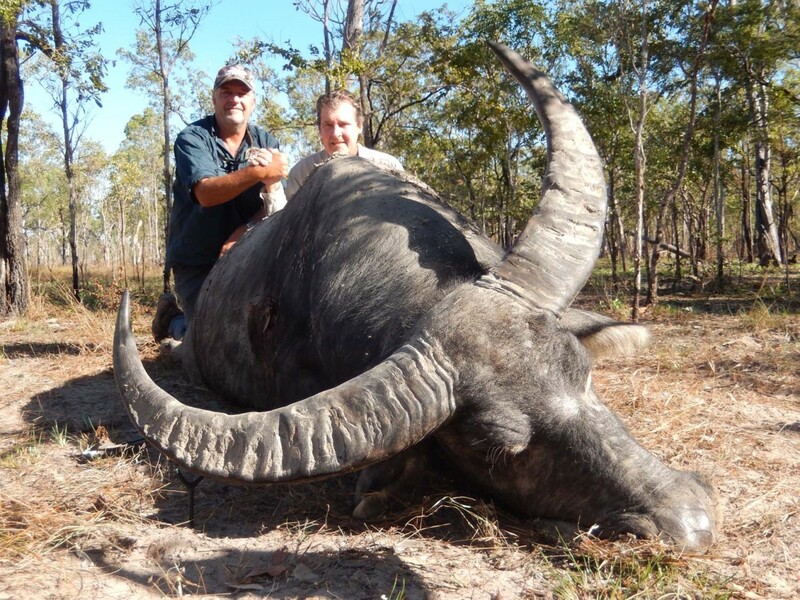 We offer one-week packages, which include fully-guided 5-day hunts in the Aboriginal Reserve of Central Arnhem Land Plateau Mann River in the Northern Territory of Australia. Day 1 and day 7 are for travelling purposes, so there is no charge for these travelling days. Or, you may wish to tailor your own hunt with additional hunting days. The animals we have available are large numbers of water buffalo and wild oxen, with wild boars at a minimum. 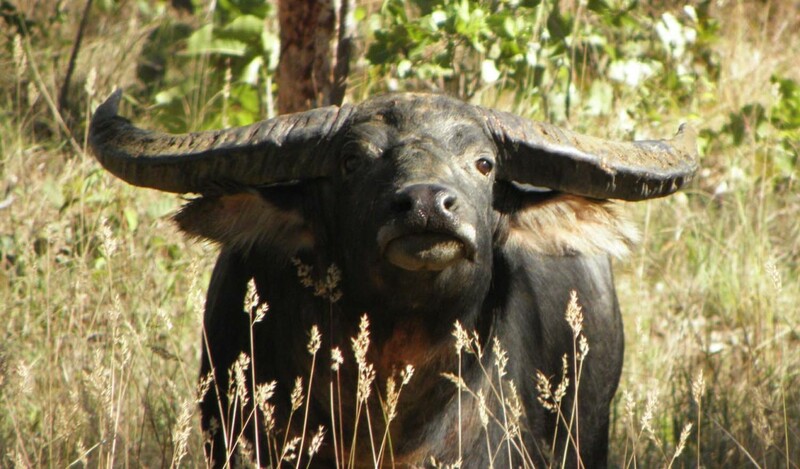 You will explore many billabong and river systems, beautiful scenic areas with an abundance of native bird life and awe inspiring panoramic views from the escarpments overlooking kilometres of breathtaking scenery where you will see multitudes of buffalo. 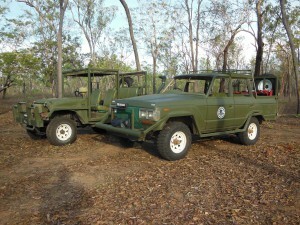 Your safari is conducted in 4×4 hunting vehicles driving off the beaten track through semi-woodland areas. Once we reach a specific location, we continue our hunt with a leisurely walk amongst the scenic valleys, spring systems, soaks, small creeks and tributaries of the Mann River. You will see from our galleries that you would be staying in a comfortable, fully-equipped bush lodge with all the mod-cons; a generator provides electricity 24 hours a day and all linen is supplied. 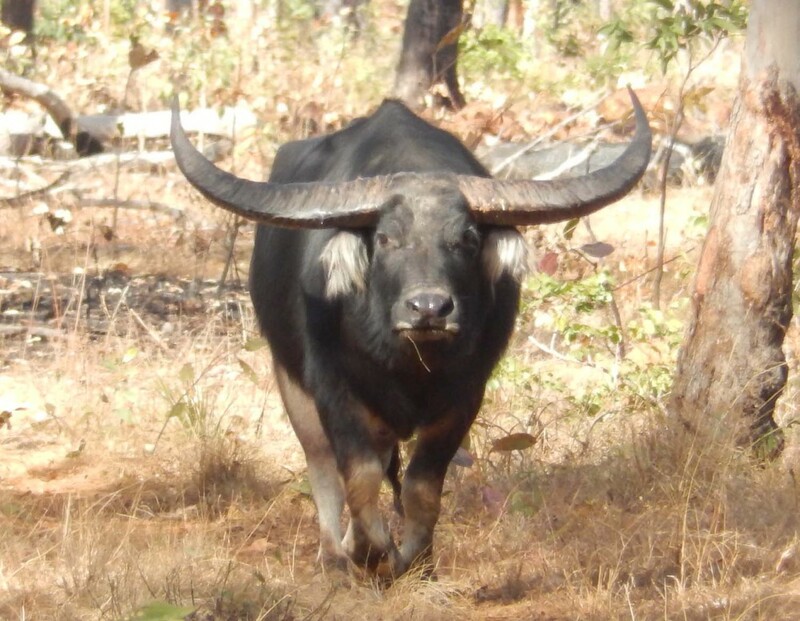 Many of our clients choose to charter a light aircraft or helicopter for a 1½ hour scenic flight to our airstrip at Central Arnhem Land Plateau Mann River, with a return flight at the end of their tour. Details of the charter companies are available under Getting Here. 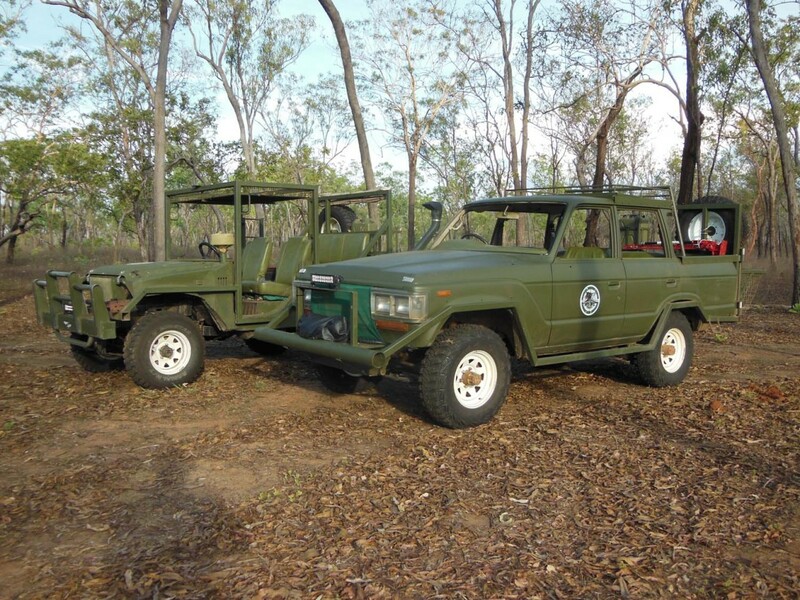 Alternatively, we can pick you up from your hotel in Darwin early (6.00am) on the first day and it would be a 10 – 12 hour drive to base camp in air conditioned Landcruisers, with the return journey leaving camp mid-morning and arriving at your hotel in Darwin no later than 10.00 pm on the last day of your tour. 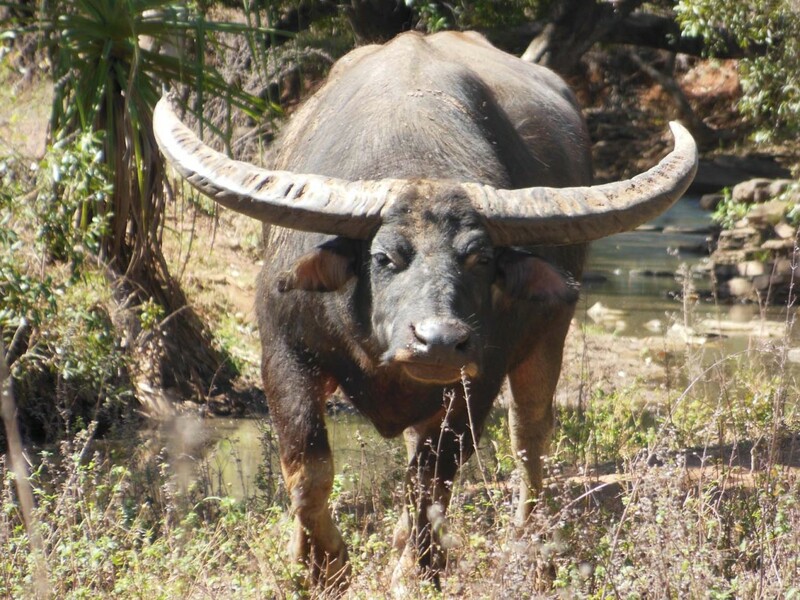 Our Buffalo Safari package includes all road transfers, permits, accommodation, use of 4×4 hunting vehicles, insurance, first-class meals and beverages. 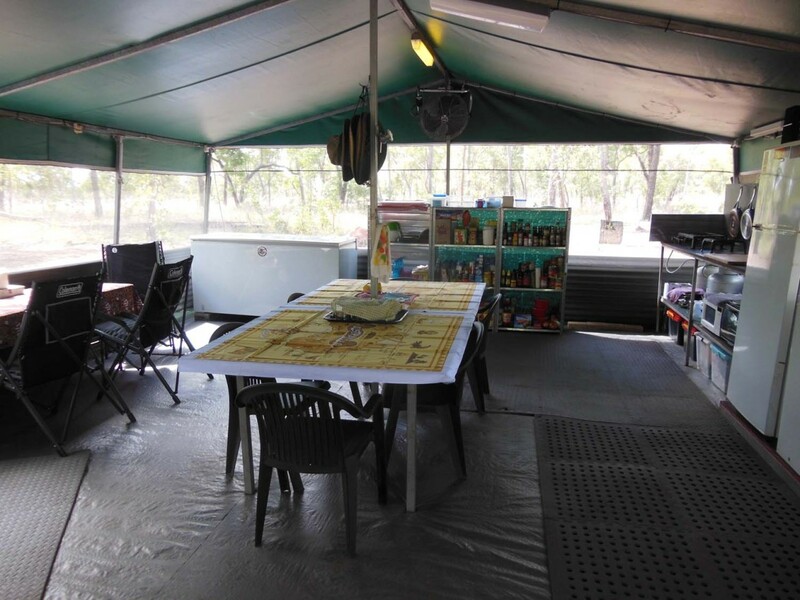 We have a special liquor licence to allow moderate consumption of alcohol by our clients at the end of a day’s hunt at our camps in Arnhem Land. We can purchase alcohol on your behalf upon request and you can reimburse us on arrival at camp; or, you may choose to “Bring Your Own”. 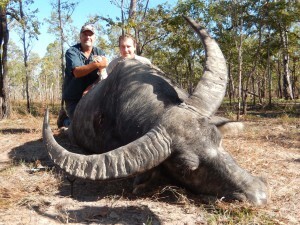 Or, you may wish to tailor your own buffalo package with additional hunting days. Non-hunting observers are most welcome. Also included in the package are caping and field preparation of your trophy buffalo bull ready to be shipped to your preferred taxidermist, or we can recommend one. 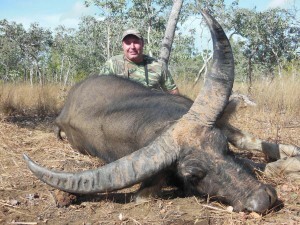 Please note that dip and pack, and shipping of your trophy are additional costs. For those hunters who prefer not to travel with their own rifles, we can supply 9.3×74, 375 H&H, 404 Jeffreys, 458 Lott, 470 NE, 500/416 NE and ammunition for an additional cost. 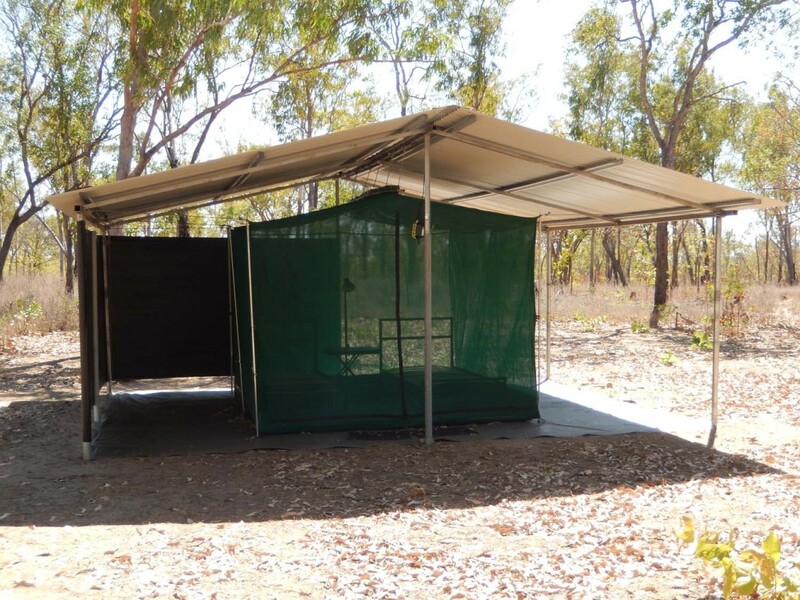 International clients require a Northern Territory International Visitors Shooters Permit and, if you’re bringing your own rifles, you will also require an International Visitors Firearms Permit. We require a minimum of 8 weeks’ notice so that we may organise all permits, licences and customs clearance prior to your arrival in Australia. This would incur a small additional fee. 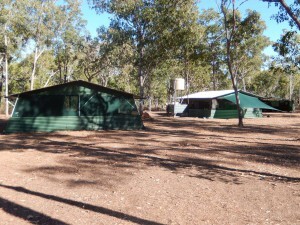 You may also be interested in an Aboriginal Cultural and Scenic Tour provided by one of the Aboriginal caretakers of the land. This includes bush tucker, bush medicine and visits to some of the traditional art sites. This option is available by prior arrangement for a small additional fee; or you may wish to tip your Aboriginal Tour guide. You may also enjoy an invigorating swim in one of the many waterfall pools (no saltwater crocodiles inhabit these areas). The Aboriginal families that are the traditional caretakers of the land can also perform an Aboriginal Traditional Dance Corroboree. Local Aboriginal Artifacts will also be available to purchase. Please note that prior arrangement is essential for all Aboriginal Cultural, Artifacts and Scenic Tours. Before making a booking please check our Terms and Conditions. 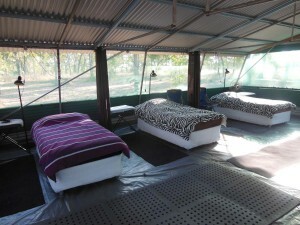 Additionally please review all the information provided on accommodation, getting here and what to bring.